Dodge Durango Stripes, Vinyl Graphics, Hood Decals, and Body Striping Kits. The Durango remains a big and brawny machine, and is less trucklike than other large SUVs. No vehicle has such broad appeal as a well equiped SUV, and the Dodge Durango is no exception. Below you'll find a wide variety of Dodge Durango vinyl graphics for the model years indicated. Featuring 2011 2012 2013 2014 2015 2016 2017 2018 2019 Dodge Durango stripes, Durango decals, Durango racing stripes, Durango rally stripes, Durango vinyl graphics, Durango side door stripes, Durango hood stripes, Durango rocker stripes, and more by MoProAuto! Vehicle specific designs with racing stripes, door decals, vinyl graphic kits, vinyl hood stripes, and vinyl graphic packages in hundreds of colors! 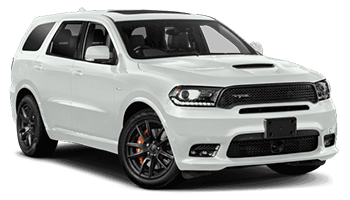 Featured here you will find DURANGO DOUBLE BAR 2011-2019 Dodge Durango Hood Hash Marks Stripes Decals Vinyl Graphics Kit, DURANGO RALLY 2014-2019 Dodge Durango Racing Stripes Decals Vinyl Graphics Kit, PROPEL HOOD 2011-2019 Dodge Durango Split Hood Stripes Decals Vinyl Graphics Kit, PROPEL SIDES 2011-2019 Dodge Durango Rear Quarter Accent Stripes Decals Vinyl Graphics Kit, and so much more! Choose one of these popular vinyl decal styles today!